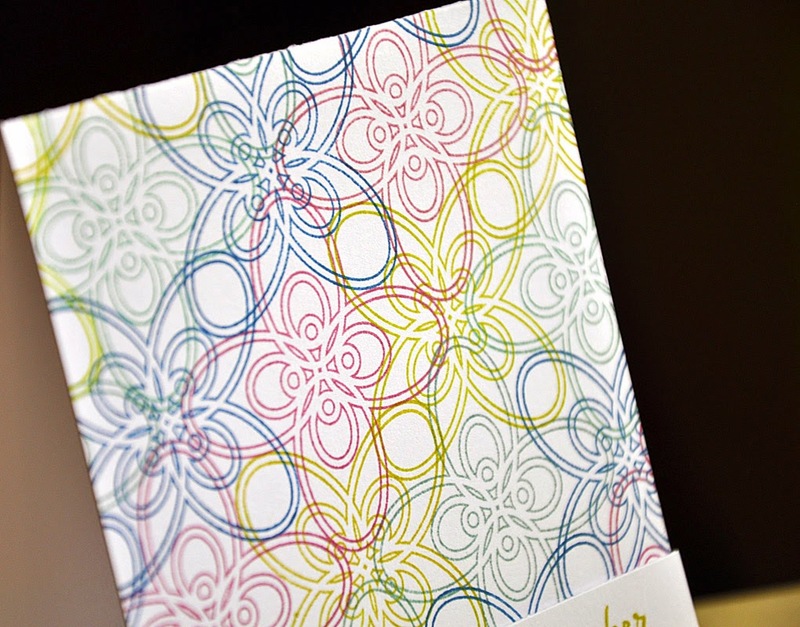 Hello and welcome to the fourth day of the Papertrey Ink August countdown! First up, the fancy focal point. This is my simple card. 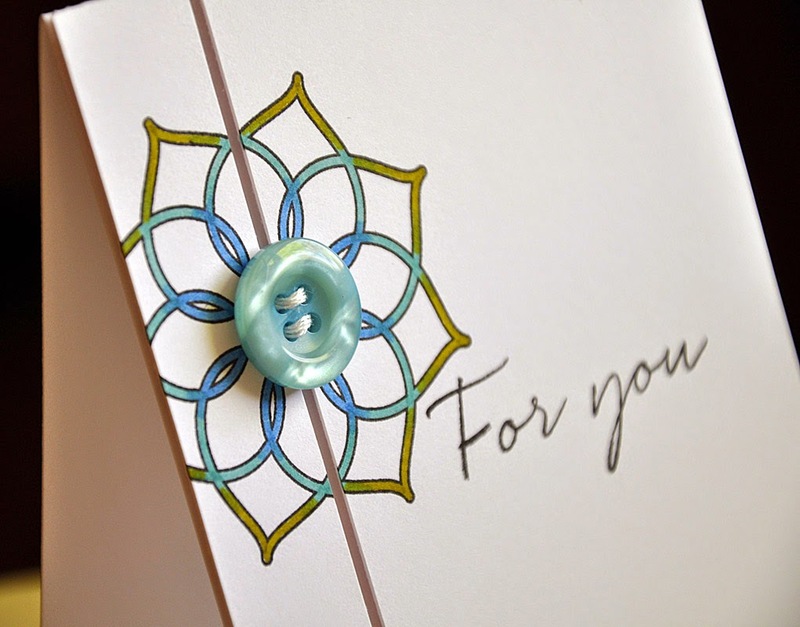 Simply stamped the outlined medallion in black ink and colored. The coloring was done in an ombre fashion. 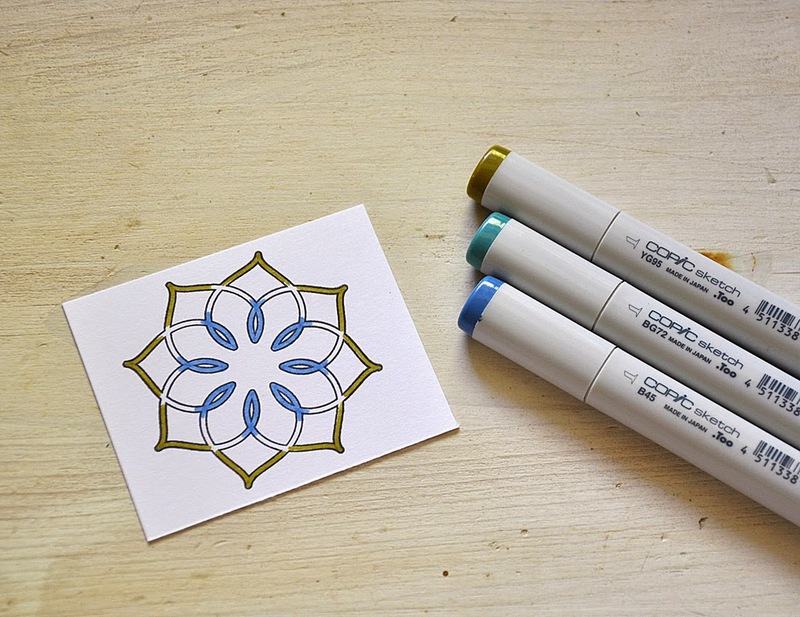 Transitioning from green on the outer edges to blue in the center, using the Copic markers pictured above. 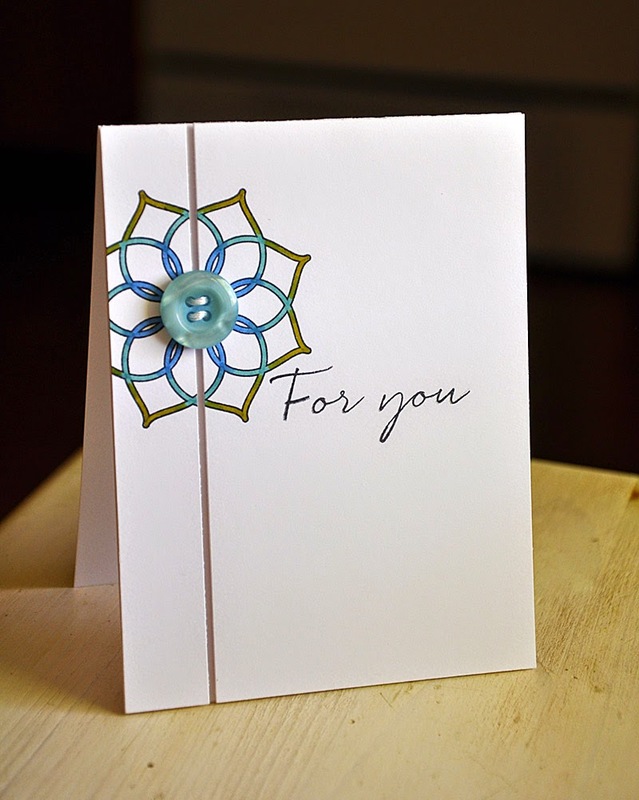 I finished the card off by stamping a sentiment, trimming the medallion panel into two pieces and then embellishing with a coordinating button. Here's a before shot I took to give you an idea of how I built the pattern. I rotated every other medallion to create a sort of interlocking effect, carefully paying attention to the placement and color of each impression. And the after close up shot. 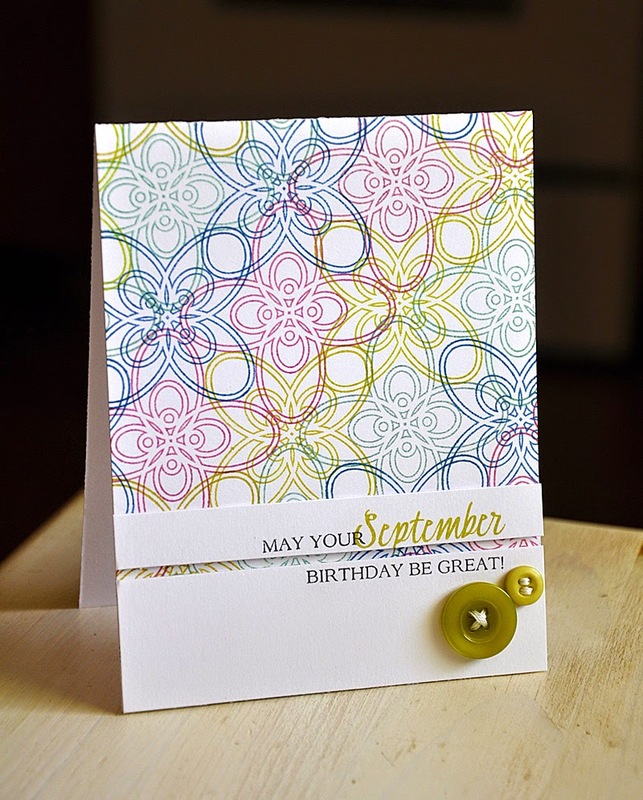 This sentiment is from the soon to be released Birthday Classics: September stamp set. Well, that concludes my look at Fancy That. 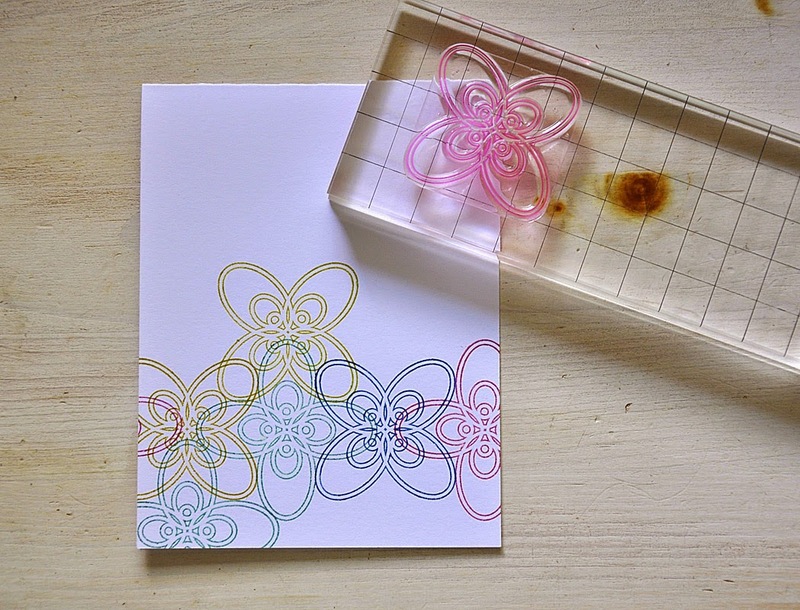 Just remember... this stamp set and other product I've used today will be available for purchase through Papertrey Ink, beginning August 15th. Awesome! I love the background, Maile!! Love the totally CAS one. So striking. 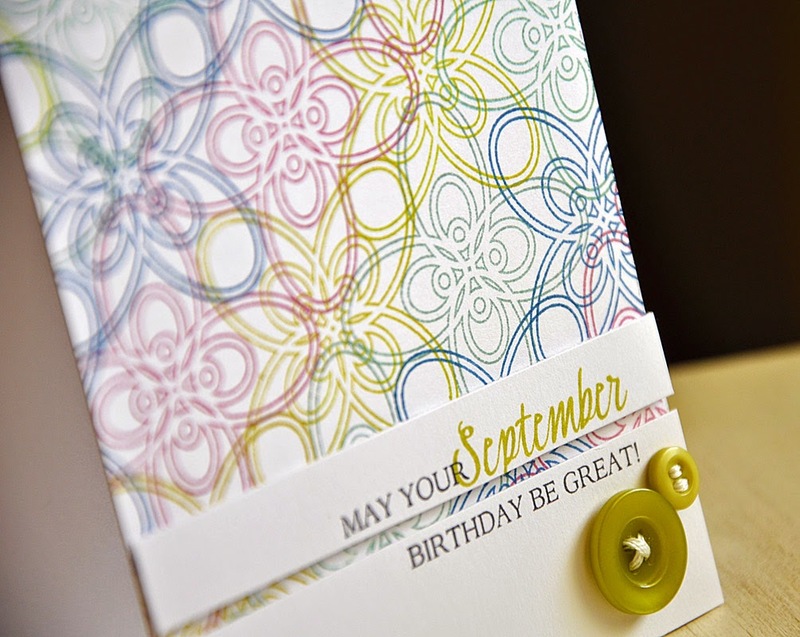 Wonderful card creations! Especially love the background you created! Another must have set from Papertrey Ink! Thanks for the inspiration! Love the simple elegance of the first card! The background is beautiful, and I love the CAS design. i love when you used cut panels. they are always perfect! the colouring is amazing in the second card. you always pick the best colour combos!